Blue Diamond Towing is a professional and reliable towing company that is located in Pasco County but services all of Tampa Bay. There is no job too big for the Blue Diamond Towing team. Our drivers are very friendly and knowledgeable. We specialize in impounds and accident towing. We are family owned and operated. We provide great service and we take care of your property. Blue Diamond Towing is a licensed company, we are officially authorized to operate and provide professional service in the Pasco and Tampa Bay Area. We also provide tow away signs for property owners and businesses at NO additional charge. 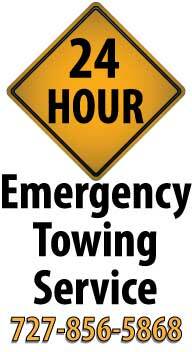 Blue Diamond Towing is open 24 hours a day, 7 days a week. Please feel free to give us a call at (727) 856-5868 with any questions or concerns you may have about our services.